2) Accept who you are. 3) Be who you are. Authenticity is not a luxury in preaching, it is an essential. I know this, I really do. So why is it that I need such frequent reminders? I remember years ago that I preached a sermon that included my testimony at a church in Tennessee. I shared about what it was like to be unemployed as your infant daughter goes in for brain surgery. I share what it was like to see God miraculously supply your needs when you are drowning in medical bills. I shared as best I could and from my heart. I did remember her but didn’t get a chance to talk with her afterward. Janine continued: “She tried to come up to you but couldn’t get close enough. She wanted you to know that words could not express how much what I had said meant to her.” I was tongue-tied again as tears filled my eyes. She was moved to the core… and it wasn’t because I was eloquent. It was because, on that particular day, I knew who I was, accepted who I was, and shared out of the depth of who I was. With that formula you can hit a home run every time. If I am going to share something, I first have to have something to share. How many “God moments” am I experiencing in my day to day walk with Him? Without that touch from God in my life… the sermon preparation well dries up pretty fast. Authenticity… why do I have to be reminded of it so often. Thanks for the reminder, Chuck. It moved me to the core. P.S. 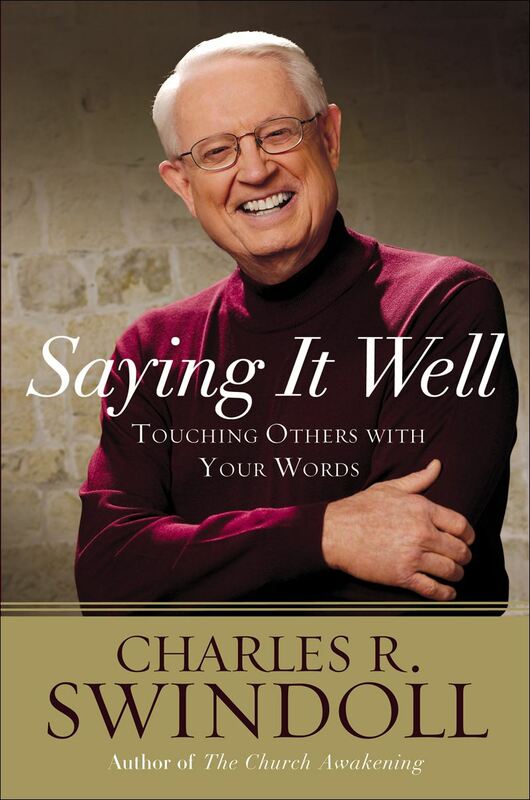 Swindoll’s book, Saying it Well, is on sale this week (6/12/13) at Lifeway for only $5 as a part of their father’s day sale. Well worth the 5 bucks!